This bonus episode is the final of three coaching sessions with listener Lois Martin talking to me and life coach Cynthia Culver. The focus of this call is the Development stage of coaching, in which Lois works through a plan that will produce results aligned with her new direction and mindset. As you listen, consider what actions have (or could) help you trigger the mindset of truth in you, instead of the broken mindset. This bonus episode is the second of three coaching sessions with listener Lois Martin talking to me and life coach Cynthia Culver. The focus is on the Direction -- where Lois is right now and how she might establish a new, clear direction for the future. As you listen, keep an ear toward your own story, passions, and the specific dream God has put on your heart for His Kingdom. This bonus episode is the first of three sessions you’ll hear with listener Lois Martin talking to me and life-coach Cynthia Culver. In these episodes, Cynthia walks us (via Lois) through the Discovery, Direction and Development phases of coaching. Lois’s goal? 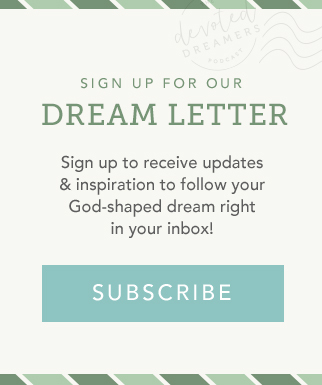 To get over what is holding her back from pursuing her God-shaped dream. 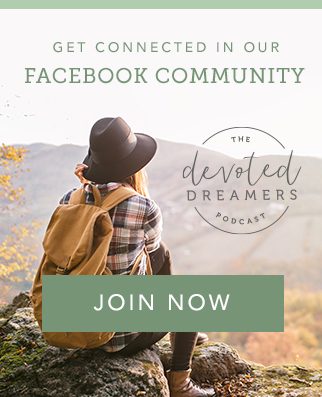 As you hear Lois processing her experiences in these three conversations, listen with an ear toward your own story and whatever might be keeping you stuck and/or resisting what God has put on your heart to contribute to His Kingdom. In this interview, Allie Davis talks about her experience of moving from depression and a negative mindset to a more biblical mindset and how it changed her perspective of “calling” in her life. She also shares the clues that pointed to what her dream might be. She reminds us that our discouraging thoughts are not from God and that baby steps may not always bring the results you hoped for…and that’s okay!